Cocina Mexicana: Learn to Cook Authentic Mexican Cuisine! Tonight, Susy will teach culinary techniques and family secrets as you learn to prepare some of her favorite Mexican cuisine. You’ll be greeted with a cool south-of-the-border Mexican Margarita to get things started. Then, the cooking lesson begins as Susy walks you through the steps to make homemade Tortilla Chips and Spicy Salsa. 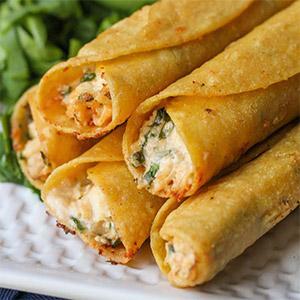 Next, you’ll move on to handmade Chicken Enchiladas (corn tortilla rolled around a filling) covered with a beautiful chili pepper sauce, Chicken Flautas (aka rolled tacos), Mexican Rice, and Refried Beans. And, for something sweet, how about a creamy Mexican Caramel Flan! Prepare to get your hands in on the action….and, prepare to eat lots of fabulous Mexican food! Sat 7/20/19 6:30 - 9:00 p.m.